On Saturday, Sept. 13, the UFC hosted UFC Fight Night 51: Bigfoot vs. Arlovski 2 from the Nilson Nelson Gymnasium in Brasilia, Brazil. 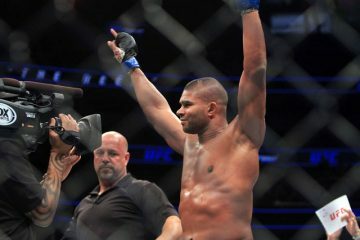 In the night’s main event, former UFC heavyweight champion Andrei Arlovski sought revenge against former title challenger Antonio “Bigfoot” Silva. The pair met previously at Strikeforce: Heavy Artillery in 2010 with the Brazilian Silva earning a unanimous decision victory. Arlovski had fought 10 times since that bout, winning seven. 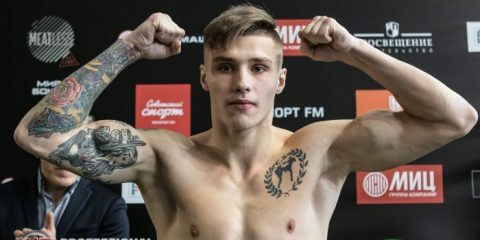 The Belarusian returned to the UFC in June, earning a questionable split decision over Brendan Schaub. Silva, meanwhile, had been out of action since UFC Fight Night 33 where he fought Mark Hunt to a draw. 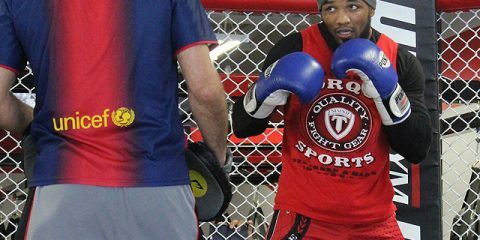 The Brazilian failed his post-fight drug test following the event and was suspended. 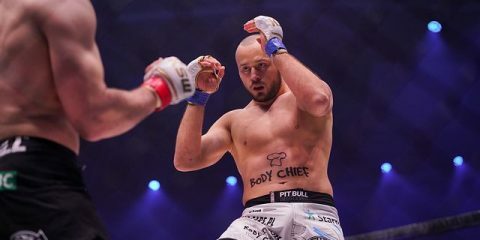 The co-main event of the evening featured a lightweight contest between veteran Gleison Tibau and Poland’s Piotr Hallman. Tibau was last in action in July, edging out Pat Healy by decision. Hallman was also in action over the summer, submitting well-traveled veteran Yves Edwards in June. 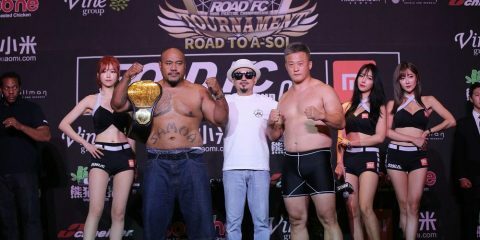 The 11-fight card kicked off Saturday at 5:45 p.m. ET with five preliminary card bout streaming live on UFC Fight Pass. The six-fight main card followed at 8 p.m. ET, also on UFC Fight Pass. Former UFC heavyweight champion Andrei Arlovski got revenge on Antonio “Bigfoot” Silva, scoring a violent, first-round knockout of the Brazilian. 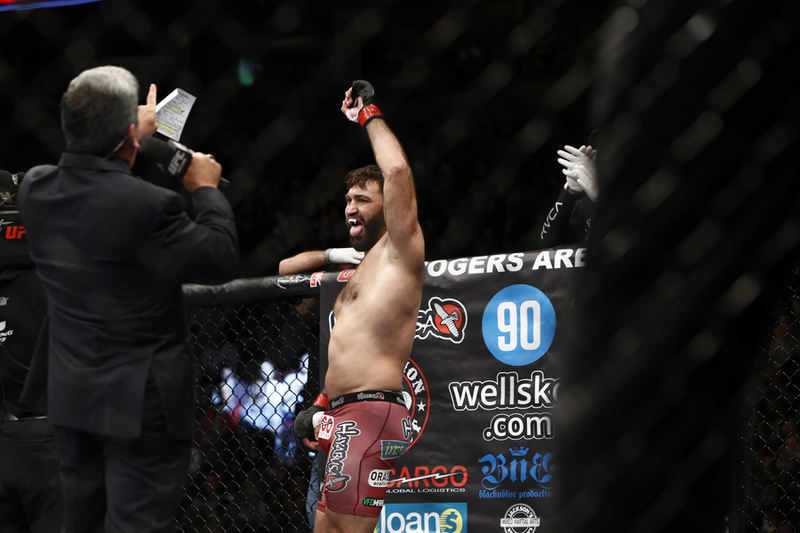 Arlovski’s speed and boxing advantage was apparent from the very beginning of the fight. Arlovski used his footwork to get inside and clip Bigfoot with a right hand early. As the round went on, Arlovski’s confidence grew. Bigfoot kept his guard high, but Arlovski delivered a right hand that sent him crashing to the mat. A series of hammerfists followed and Silva was unconscious. Poland’s Piotr Hallman proved his toughness, but ultimately fell short against veteran lightweight Gleison Tibau. Tibau landed a left head kick and a left straight down the middle to open the bout. Hallman seemed unfazed and marched forward. Tibau clinched and scored with a a takedown, but Hallman quickly bounced back to his feet. That set the tone for the remainder of the fight. Tibau frequently connected with powerful left hands and earned takedowns, but Hallman just kept coming. In the final stanza, Hallman turned up his pressure, opening up a big cut over Tibau’s left eye with a knee. Hallman’s late efforts were not enough, however. Two of the three judges scored the contest in Tibau’s favor, giving him the split decision verdict. In a battle of TUF winners, Leonardo Santos used well-timed takedowns and superior control to edge out TUF 8 winner Efrain Escudero via decision. After a feeling out process on the feet, Santos clinched with Escudero along the fence and scored a takedown from the over-under position. Santos passed to the mount and then took Escudero’s back as the round expired. In round two, Escudero was able to keep the fight upright and the momentum swung in his favor. An overhand right from Escudero dropped Santos, but he was unable to finish. Escudero continued his forward march in round three, but Santos changed levels and earned another takedown. The Brazilian again worked his way to Escudero’s back and threatened with a rear-naked choke. Escudero survived to the final bell, but fell short on the scorecards. TUF: Brazil 2 runner-up Santiago Ponzinibbio wasted little time in earning his first UFC win, stopping newcomer Wendell Oliveira with a barrage of punches in round one. Oliveira scored with an overhand right and followed with a big leg kick. Ponzinibbio was able to stay just outside of Oliveira’s range before rocking him with a left hook. Oliveira backed against the cage, but Ponzinibbio smelled blood and delivered another left hand and right straight that buckled Oliveira’s legs. In a close, competitive fight, Brazil’s Iuri Alcantara eked out a unanimous decision win over Russell Doane. Alcantara scored with a left kick, left hand combination that saw Doane shoot for a takedown. Alcantara countered and quickly took Doane’s back with both hooks. The Brazilian looked for a rear-naked choke, but Doane defended and was able to gain the top position. In the second round, Doane again used his wrestling to get the fight to get the mat, but Alcantara was active from his back with strikes and submission attempts. Doane briefly looked for a d’arce choke, but Alcantara escaped. Doane’s wrestling was the story of round three, as he largely negated Alcantara’s offense. When it was all said and done, Alcantara did enough to earn the nod on the scorecards. Bantamweight Jessica Andrade spoiled the Octagon debut and unbeaten record of countrywoman Larissa Pacheco with a first-round, guillotine choke finish. Pacheco fired her jab early, but Andrade rushed forward and scored a takedown. Andrade stayed heavy on her hips from the top position, delivering right hand after right hand. Pacheco tried to work her way back to her feet, but Andrade mixed in punches and submission attempts to keep her on her back. Late in the round, Andrade locked up a deep, arm-in guillotine choke that forced Pacheco to submit. Featherweight Godofredo Pepey electrified the Brazilian crowd with a slick, submission finish of Dashon Johnson. The pair spent the first three minutes of the fight trying to establish their range. Pepey missed with two wheel kicks attempts before rushing forward with a flurry of punches. Johnson ducked under the punches and scored with a takedown. That was Johnson’s undoing as Pepey quickly locked on a triangle choke and began to attack Johnson’s left arm. Pepey swept to the mount and cranked the arm, forcing Johnson to tap. George Sullivan earned his eighth straight win, stopping Brazil’s Igor Araujo in the second round. Araujo threw a variety of kicks early to keep the fight at range, but Sullivan barreled in and managed to get a takedown. Araujo threatened with an armbar, but Sullivan escaped and rained punches from the top. Araujo looked for a helicopter sweep, but Sullivan was able to remain on top. In round two, Araujo looked for a takedown, but it was Sullivan that ended up on top. From the half guard, Sullivan delivered a series of heavy shots that knocked Araujo unconscious. It wasn’t pretty, but Francisco Trinaldo managed to edge his countryman Leandro Silva on the scorecards. Silva scored with a takedown early in the fight, but he couldn’t keep Trinaldo on the mat. The pair jostled for position along the fence and traded short shots. The second stanza saw Silva’s grappling prowess shine through, as he took Trinaldo’s back and threatened to end the fight with a rear-naked choke. 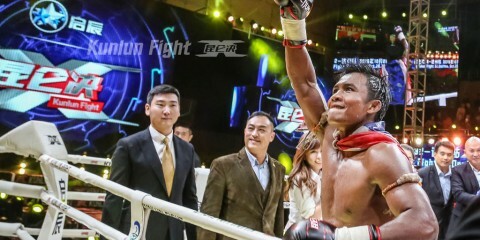 Trinaldo was desperate in the final round and connected with some big left hands. Trinaldo’s efforts in the final frame were the difference as he claimed the unanimous decision win. 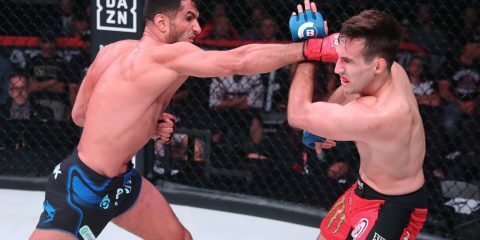 Welterweight Sean Spencer used a patient striking attack to claim a clear-cut unanimous decision win over Paulo Thiago. Spencer rocked Thiago with a right hand early in the bout to set the tone of the fight. Thiago was able to survive and get back to his feet, but Spencer was able to gain top position and deliver punches from the top. Round two was similar, as Spencer again found a home for his right hand. A barrage of elbows from Spencer opened up a big cut on Thiago’s face. The pace slowed in round three, but Spencer continued to land the cleaner shots, sealing the decision win. Brazil’s Rani Yahya got revenge against Johnny Bedford, scoring a second-round submission via kimura. Yahya came out firing, but Bedford countered well and put the Brazilian on his back. Bedford connected with an illegal soccer kick in the opening frame, but Yahya was able to continue. Yahya worked hard for a guillotine choke, but Bedford was able to escape. In the second round, Yahya was able to get on top and immediately attacked Bedford’s left arm. A deep kimura forced Bedford to tap with his feet.